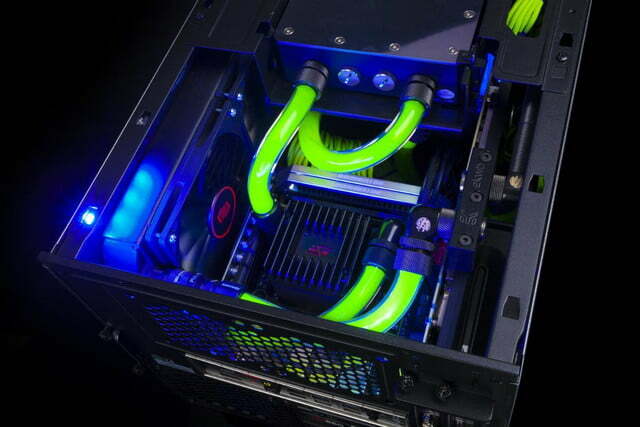 If you have the cash to pack a Titan Z into a Maingear Torq, we'd like to be your best friend. Starting now. Though Maingear allows you to outfit the Torque with an Nvidia Titan Z, you should only do so if you're the proud owner of a money tree. Maingear's Torq packs an impressive amount of power into a small case. With measurements of 11.4 x 10.9 x 13.8 inches, the Maingear Torq is quite small. Maingear makes the most of the amount of space it has to work with in the Torq. That's no portable generator, mom! Just a new gaming PC from Maingear. 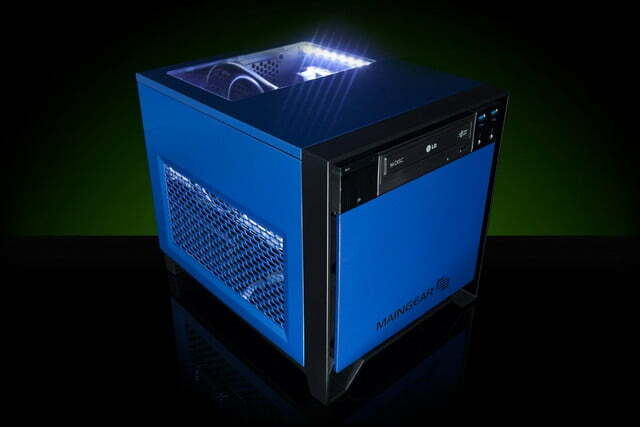 You can slather the Maingear Torq in a number of paint jobs, including this one, which is called Vertigo Blue Mica. Water cooling and a trifecta of fans keeps the Torq from getting too toasty. 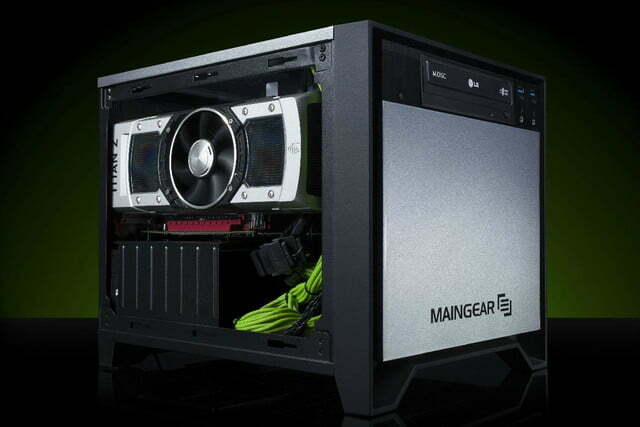 Read our full written Maingear Torq review. If there’s one caveat that some gaming PCs come with, it’s the amount of space that they take up on or under your desk. 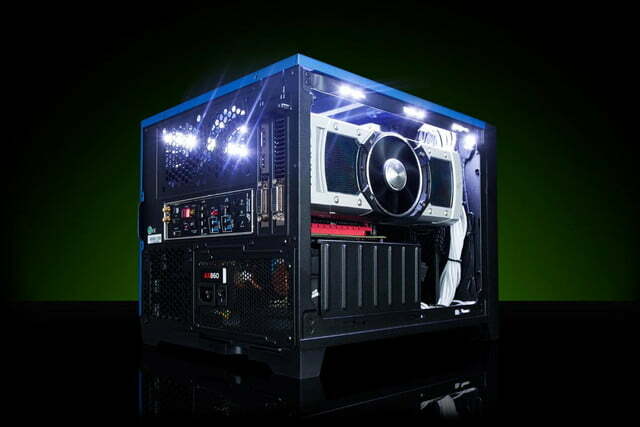 Yes, many of them are pretty, fancy, and intimidating enough to scare the family cat away, but those in small or smallish confines may not have the room for such a monstrosity, but also desire to play the latest and greatest PC games. That’s where the Torq, Maingear’s newest powerhouse system, comes in. The Maingear Torq is a small form factor PC that measures 11.4 x 10.9 x 13.8 inches, making it a good fit for any dwarfish environment, whether it’s a dorm, attic, or studio. Don’t let its petite frame fool you though; if you’ve got the cash, you can turn the Torq into an absolute monster of a gaming PC. Though the Torq’s starting price of $1,600 is pretty affordable for a gaming PC, that’s just the base config. At its zenith, the Maingear Torq can be outfitted with one of Intel’s newest processors; a 4GHz Intel Core i7-4790K processor that can be overclocked to 5GHz, and features a Turbo Boost clock of 4.4GHz. 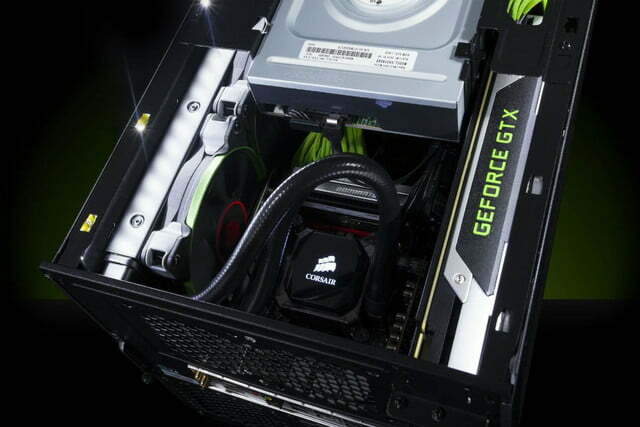 On the video card front, you can pack either an Nvidia GeForce GTX Titan Z, a massive dual-GPU graphics card that has a $3,000 MSRP into the Torq. Though that would likely give the Torq freakishly ridiculous amounts of graphics processing power, you also have the option of stuffing an AMD Radeon R9 295X2 into the Torq as well. 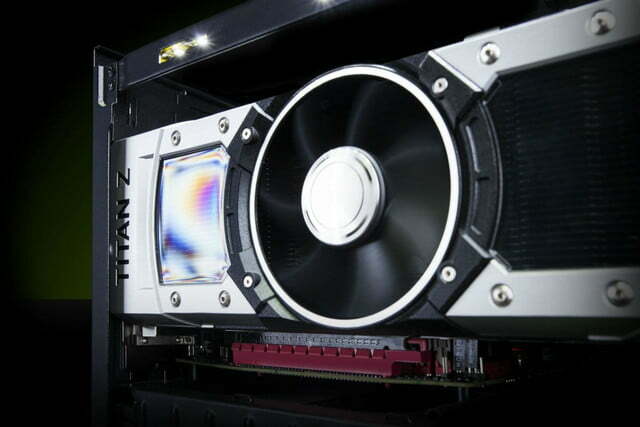 The 295X2 is also a dual-GPU graphics card, and is likely to offer similar performance compared to the Titan Z, while also costing half the price ($1,500 MSRP). The Torq can be outfitted with up to 16GB of RAM, a 1TB solid state drive, and/or a 4TB mechanical hard drive. Powering all this is a Corsair AX860 860 watt power supply, though you can also opt for a 750 watt PSU from EVGA. A liquid cooling system, along with a trio of fans, ensure that the Torq doesn’t melt while you game. Port selection include HDMI, DisplayPort, 4x USB 3.0, 4x USB 2.0, eSATA, S/PDIF, and a set of standard 3.5mm audio/mic ports. Wireless connectivity comes in the form of 802.11ac, and Bluetooth 4.0 as well. In case you’re wondering, stuffing it with a Core-i7 4790K, a Titan Z, 16GB of DDR3-2133 RAM, and a 1TB Samsung 840 EVO SSD brings the price to an obscene $7,675. However, if you scale that down to a 3.5GHz Intel Core i5-4690K (one of Intel’s other new processors), a Radeon R9 295 X2, a 240GB Intel 730 Series SSD, a 2TB Seagate Barracuda hard drive, and 8GB of DDR3-1600 RAM, you can shave off about $2,500 off the price ($4,909). While that’s still a lot to pay, the $4,909 configuration is likely to get you comparable performance when lined up against the $7,675 version, and lets you save gobs of cash in the process. You can check out the Torq for yourself right now on Maingear’s site. Ray tracing in a handful of games is now supported by more than Nvidia's RTX graphics cards. If you have a GTX 10-series card you can enjoy it too, but we don't think you'll enjoy it very much.